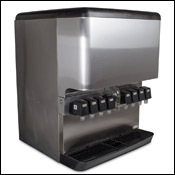 Beverage Dispensers That Use Our Fittings | Fittings, Inc.
Fittings Inc. works with the beverage dispensing industry (for soda, beer, wine, coffee, juice, water, etc.) 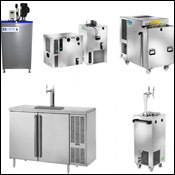 to provide high quality fittings and cold plates for a wide range of dispensing machines and systems. From soda machines to commercial draft beer systems, we supply unique fittings and cold plates to create perfectly dispensed beverages from the following products and systems. Fittings Inc. produces thousands of custom stainless steel fittings, most of which are not listed on our website. 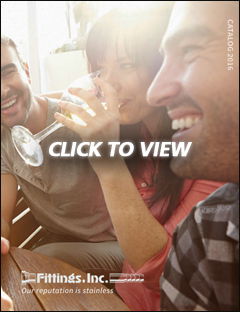 Please refer to our catalog here. For this machine, the dispensing tower is attached to an ice bin with a built-in cold plate. 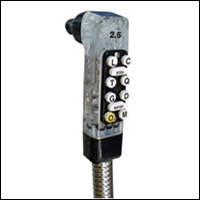 This machine is designed to install in a stainless steel cabinet or an opening in a commercial counter top. 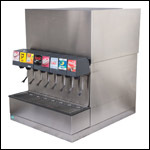 Drop-in soda fountains dispense frosty cold beverages consistently and can handle high volume applications. With maximum versatility, the ice and beverage machine dispenses ice and any combination of beverage through a self-serve style setup. This beverage tower machine is designed to support the weight of the ice maker. Using fast-flow electronic valves, CO2 regulators, syrup pumps, and more, this system is designed for commercial use in high-traffic restaurants, service stations, and more. 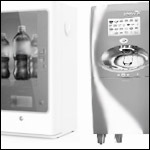 With self-contained cooling, no ice is required to cool beverages for these dispensers. Using innovative heat transfer, the water bath housing the soda water and syrup lines is cooled, replacing the use of ice or a cold plate commonly seen in beverage dispensers. As the latest innovation in dispensing machinery, the touchscreen soda dispenser allows consumers to create customized drinks by mixing individual flavor packets with water and sweetener. The beverage ingredients are stored in RFID-enabled cartridges inside the dispenser cabinet, replacing the traditional boxes of syrup (bag-in-box). 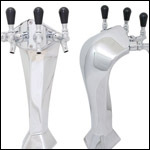 Used in bars and restaurants all across North America, the soda/bar gun dispenser has a lot of power and flexibility packed into one system. 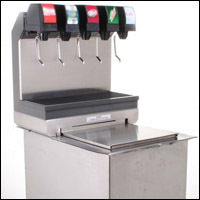 It is designed to accommodate a wide variety of dispensing options for any beverage combination of syrup, water, and CO2. As a small dispenser with old-fashioned aesthetics, the draft arm is great for commercial or residential use. This complete system features a compact draft arm that conserves counter space. Featuring durable insulation to prevent warming when not in use, the draft arm is perfect for low-traffic settings. The glycol-cooled beer system is made to deliver a flawless beer temperature from a walk-in-cooler. Air-cooled beer systems can dispense up to 25 feet away, using cold air from the walk-in cooler box pushed alongside the beer line to keep it cold. Direct draw beer dispensing does not have any hidden lines and dispenses beer at the same temperature as where it is stored in the walk-in.